For those of you that live in Houston and the surrounding area, one of the most visited parks in the state of Texas is only 45 minutes from downtown Houston. Brazos Bend State Park is a 5,000 acre park that has a variety of camping options from Equestrian primitive campsites to premium campsites. So whether you wish to camp with your horse or your RV, they have you covered! Here is what you need to know to plan the perfect Brazos Bend State Park camping trip for your family. If you are wondering how to go camping, it all starts with picking the perfect spot for your family. There are a wealth of good Texas State Parks camping options and resources on Texas State’s website for State Parks. Brazos Bend State Park is a great place to plan your camping trip. There are several ways to get a Guide that lists all your state parks. Here is a page that has all the Texas State Park Maps as downloadable PDF. State Parks in Texas use a reservation system. Reservations for Brazos Bend State Park camping can be made by phone during normal business hours or online. Once you make reservations, that ensures that you have a spot. When you arrive at the park, be prepared to park and go inside to check in for camping. It is at that time that you will be able to choose a specific campsite. The earlier you get there, the more choice you have. 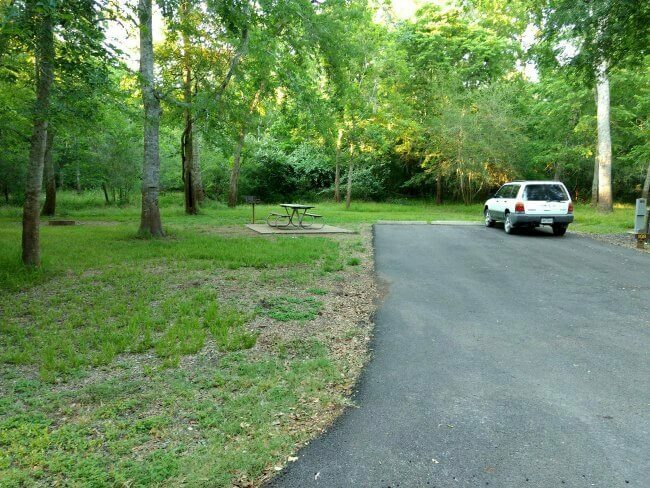 If you are expecting a Brazos Bend State Park Campground there are actually several camping areas instead- Burr Oak Camping Area, Red Buckeye Camping Area, Walk In Site Area, Youth Group Camping Area, and Equestrian Camping Area. Brazos Bend State Park Campsite On The Burr Oak Camping Loop. 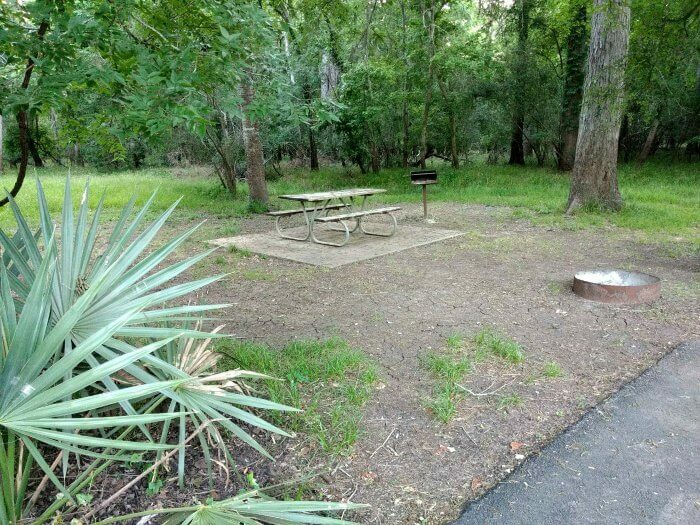 In the Burr Oak Camping Loop, a Premium Campsite at Brazos Bend State Park has a picnic table, an upright grill and fire ring, water and 50 AMP electric hookup. Access to restrooms with showers nearby. Those are $25/night (plus daily park entrance fee). This gives you an idea of size, accessibility, and cleanliness of the campsites. In the Red Buckeye Loop, a Standard Campsite has a picnic table, an upright grill and fire ring, water and 30 AMP electric hookup. Access to restrooms with showers nearby. Those are $20/night (plus daily park entrance fee). Near the Dining Hall there are 15 Walk-In Sites. They do not have water or electric, and there is a short walk to get to them (between 30-150 yards). Each site has an upright grill, fire ring and a picnic table. There is a central fire ring for gatherings. There are bathrooms and water close by. Those are $12/night (plus daily park entrance fee). The Youth Group Camping Area is for groups of up to 16 or groups up to 32 and it is restricted to nonprofit youth group organizations. No individuals or adult groups allowed. At the trailhead of the 13-mile equestrian/multiuse trail system, there are 19 Equestrian Primitive Campsites. No advance reservations available for these sites to camp with your horse. 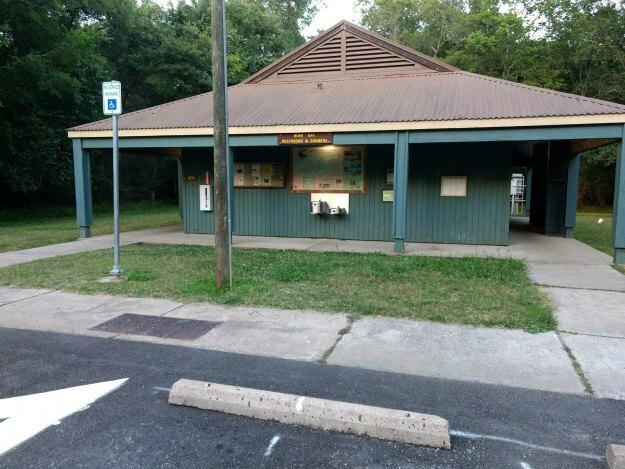 Brazos Bend State Park also has screened shelters which are 12 x 12 feet. They have 20 AMP electricity, water, ceiling fans, picnic table, fire ring and standup grills. These are $25/night. Note that pets are not allowed in State Park buildings. 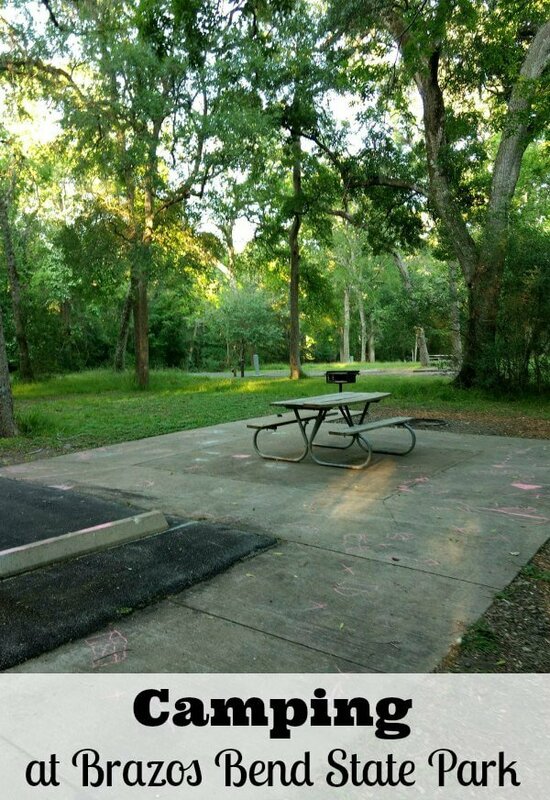 You can find a list of safety and etiquette for Brazos Bend State Park Camping here. If you are new to camping or if you would just like to learn more about camping skills, Texas State Parks offer a great program called Texas Outdoor Family you can learn about. There are 70 Texas State Parks where you can go fishing for free with no license and Brazos Bend is one of them. Bag limits are the same in or out of the park. Bird watching is fun for the whole family. You may also enjoy using a bird checklist to help you know which species to look for. Learn about the wildlife you may see in Texas state parks by downloading Wildlife Fact Sheets. These are just a handful of the things you can do while camping at Brazos Bend State Park. You may want to check out 17 fun things to do at Brazos Bend State Park.